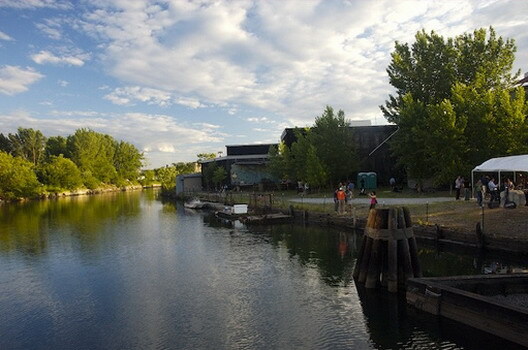 The Gowanus Lounge: The "Gowanus Harvest Festival." Seriously. The "Gowanus Harvest Festival." Seriously. It can be hard to tell its fall when you live in New York. So we’ve teamed up with our favorite organic chef extraordinaire, Kelly Geary of Sweet Deliverance, to bring you a celebration of fall on the Gowanus Canal. Come join us for the first Gowanus Harvest Festival on October 14th, a fall-themed extravaganza to take place on our favorite Brooklyn waterfront. The Yard, perched on the banks of the "gurgling" Gowanus, will host a slew of Autumnal activities: with canoe rides on the canal, pony-rides, pumpkin carving contests, local vendors, organic produce, live music and DJs, the day will pay a lovely homage to fall in Brooklyn. Everything packed into one day, and even better there will be a local beer tasting & a complete menu of organic delicacies. Admission is $5. The Yard is located next to the Carroll Street Bridge at 400 Carroll Street between Bond and Nevins. Did they say "gurgling" Gowanus? UPDATE: Thanks to a sharp-eyed reader for point out the error in the date for the Harvest Festival, which is actually October 14. An email from the producers contained the wrong date, and we didn't notice the mistake. Our apologies.